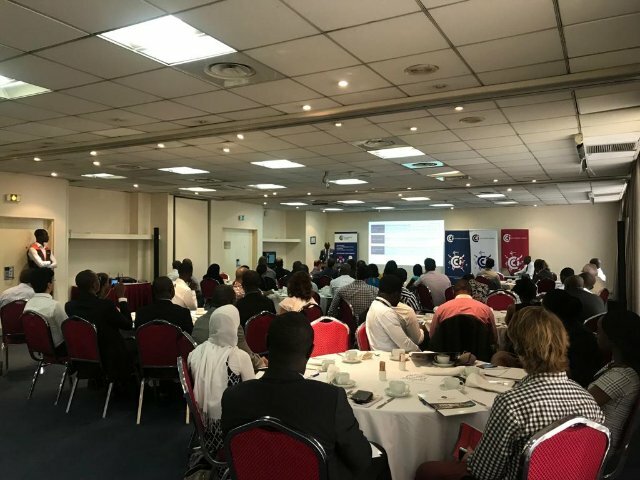 The Chamber of Commerce and Industry France Ghana (CCIFG) in collaboration with KPMG, organised A Tax System Business Breakfast at the Accra City Hotel with over 70 attendees. The event was facilitated by a team from KPMG; a firm of Chartered Accountants, the team gave thorough and interactive insights on recent updates on Ghana’s tax system. The facilitators were Gordon Dardey; Deputy Manager, Michael Boateng; Manager, and Kofi Frempong-Kore; Partner, all in the Tax Unit of KPMG. Beginning the session, Kofi Frempong-Kore gave a brief introduction highlighting important updates to be addressed and their relevance. Following Mr Frempong-Kore’s introduction, Mr Dardey, enlightened participants on the principle of modified taxation as well as changes in the withholding tax laws and its impacts. He also addressed updates in the personal income tax rates stating that the highest income tax rate has been increased from 25% to 35% on persons earning income above GH¢10,000 monthly or GH¢120,000 per annum. Mr Dardey, then discussed taxation of business and investment income elaborating on current tax provisions on capital allowance under operating and finance lease, accelerated capital allowance benefits for taxpayers under excise duty, carryover of losses and repairs and improvement of depreciable assets among others. Tax exemption on interests was also addressed. Mr. Dardey then moved on to enlighten participants on sector-specific taxation requirements including mining and petroleum industries. He also touched on the new VAT regime and its impacts on businesses. Mr Michael Boateng followed as the next speaker. He spoke about the concept of Transfer Pricing and highlighted the key areas for compliance. In his presentation, he explained the need to take transfer pricing documentation seriously, as Ghana Revenue Authority (GRA) in recent times has increased its drive towards transfer pricing audits resulting in huge tax liabilities for non-compliance. He referred to a 2016 report from the Tax Justice Network that estimated an annual approximate loss of US$2 billion to Africa due to abuses of Transfer Pricing Principles. The tax authorities of this conscious, will not relent on their efforts to rake in some revenues in this space. Concluding the session, Mr Frempong-Kore presented results from a KPMG survey conducted on businesses on the impacts of changes in tax legislation on their businesses. He also touched on the new VAT regime and explained to taxpayers what they need to take into consideration in complying with the new updates. The presentations by the representatives from KPMG were then followed with an engaging Q&A session. Participants engaged with KPMG on common issues faced in their various sectors. Experiences were shared and solutions as well as advice given. The breakfast meeting was the second event organised by CCIFG with KPMG this year to help both its members and non-members become abreast of the changes in Ghana’s tax system.